Go Interactive with QR Codes! Finally, print and mobile technology come together with QR Code Printing. 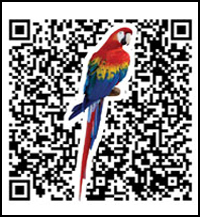 We’ll program and print your QR Code on a variety of materials – everything from business cards to posters. Users then simply point their phone at your QR code, scan it, and instantly they can view your web page, add your contact information to their address book, and more!